The Johnson Level & Tool 98-Inch Aluminum Cutting Guide is a rip guide that is designed to give you a straight edge for ripping plywood stock, doors and other large objects that may be too big to put through a table saw. 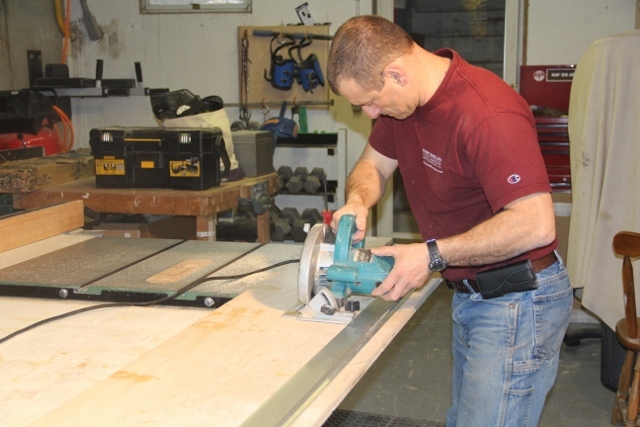 It is made up of a simple pair of 49-inch, extruded aluminum rail guides and is joined together with a plate and four screws to make a 98″ long circular saws or router guide. Rip guides have been around a long time, my first one was a piece of 1/2″ plywood. 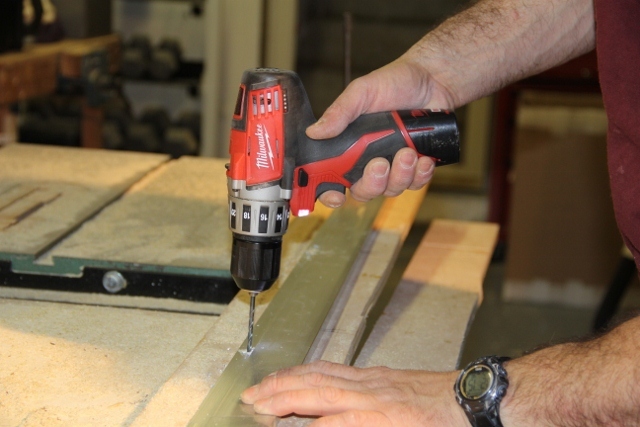 They are used to obtain accurate cuts or routing over long distances or to cut plywood or doors accurately. I recently had an opportunity to review this rip guide. 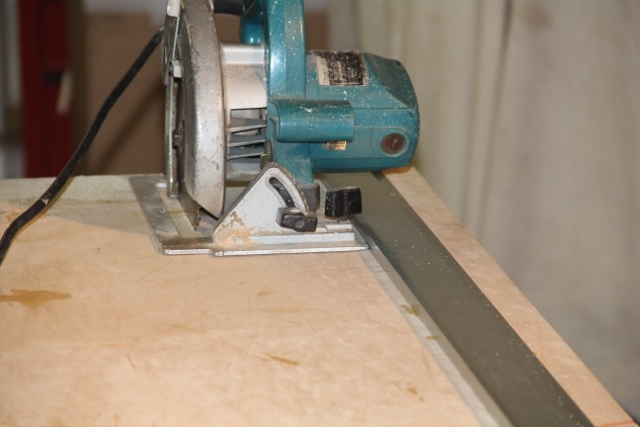 When I used it to cross cut a 48″ sheet of plywood this guide worked flawlessly and provided me with an accurate and clean cut. When ripping plywood the long way [ 96" edge] I ran into a bit of trouble. This cutting guide is only secured on each end with a small C-clap. The middle of the guide is not secured and as a result it flexes. I found the cutting guide to flex on some cuts and completely lift up on others. 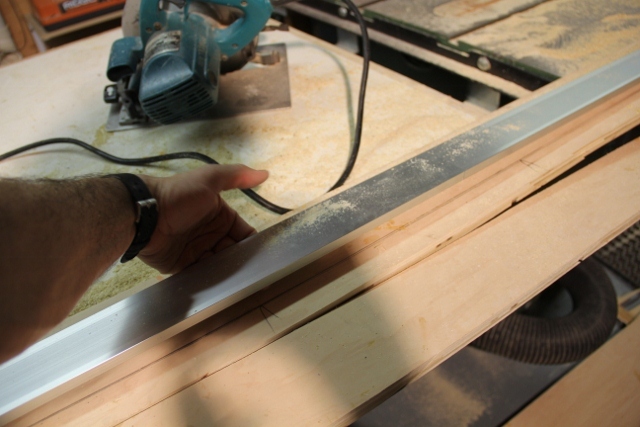 When pressing hard with the circular saw or the circular saw plate drifted under the cutting guide at it’s midpoint. This was a problem. I like this rip guide for it’s size, weight and versatility – so I decided to fix the problem with this guide by drilling a series of small holes in the middle of this guide. 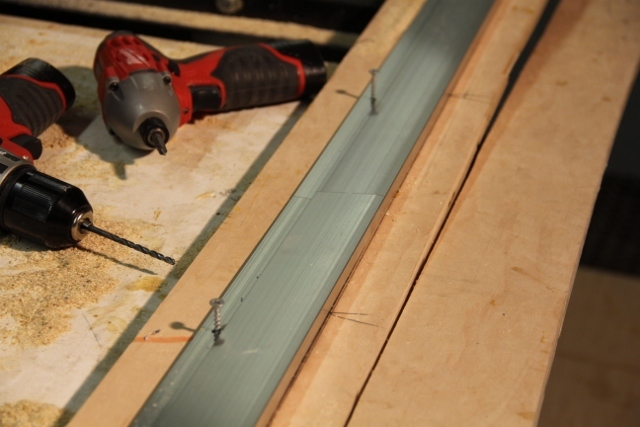 The holes will serve as a temporary hold down for a screw to secure the middle of the guide to the cutting surface. The only negative to this solution is the resulting screw hole that is left behind. In my experience there are very few situations where I can’t use wood filler afterwards. If leaving a small screw hole is not an option than I recommend making a rip guide out of plywood. This review contains my opinion of a product. I take pride in providing my readers with honest and objective information as well as a practical approach to using a product. I never accept payment in exchange for a positive review. Many of the tools and products are provided to for free by a manufacturer for review.